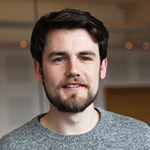 Scott Lavery started work as SPERI’s newest Research Fellow on 1 January 2016. His contract runs for two full years until the end of 2017. Scott graduated with a first-class degree in Philosophy and Politics from the University of Glasgow in 2009, before completing his Master’s degree with Distinction in International Political Economy at the University of York in 2012. He has spent the last three years working at SPERI on a PhD thesis on the uneven development of Britain’s growth model under New Labour and in the post-crisis period. During that time he has contributed regularly to SPERI Comment, published several SPERI Briefs and Papers and fully engaged with everything that SPERI has done. Scott’s post-doctoral research will focus on ‘Britain’s changing place in Europe: Understanding the role of the ‘Anglo-liberal’ heartlands in Europe’s shifting political economy’. It will complement very effectively the new research programme on ‘Diverging Capitalisms in Europe?’ that SPERI has just initiated with the Foundation for European Progressive Studies (FEPS) and Policy Network.